Crimson Hair Studio is thrilled to announce that we are extending our Kevin.Murphy Refill Program! Kevin.Murphy’s hair care enterprise cares for environmental causes and makes every effort to do their part to help the environment by utilizing packaging that is recyclable or biodegradable. The majority of Kevin.Murphy’s products are packaged in square containers so they can optimize their packaging during shipping. Kevin.Murphy’s ingredient sourcing is focused on micro cultivation, organic growing practices, or ecologically sound wild harvesting techniques to ensure each ingredient is of sustainable, natural high quality. 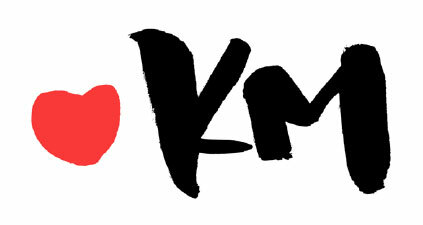 The Heart of K.M is the non-profit arm of the company & it focuses on both human and environmental issues & supports organizations such as People for Ethical Treatment of Animals (PETA), the largest animal rights organisation in the world; K.M is one of their recommended ‘Cruelty Free’ companies; they ensure that the ingredients we use are ethically sourced, and that neither the animal nor the environment is harmed in the process. Our beauty product needs & ethical concerns align with Kevin.Murphy & our ongoing 20% refill program is an example of our dedication to a healthier planet & head of hair!